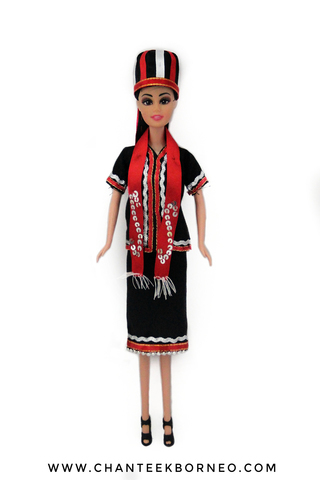 The black color is the main color in the application of the Bidayuh community. For women in the Bidayuh community, is a full dress, including short sleeves or half sleeves and a pair of black sarong knee beads decorated with delicate beads of various colors costume made with a combination of primary colors of white, yellow and red. 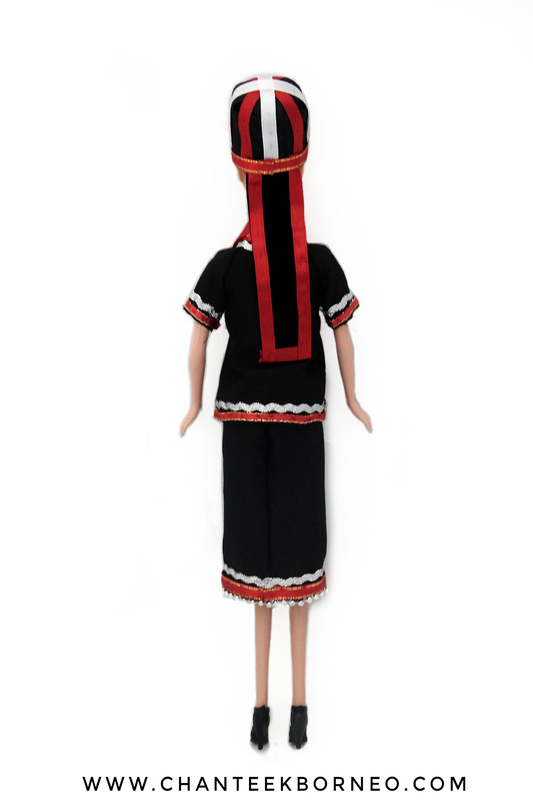 Half-height with a small lid weave beautiful patterns or a cap of colourful fabric with fine embroidery beads are complementary female headdress Bidayuh community.